The No. 17 Porsche 919 Hybrid driven by Timo Bernhard, Brendon Hartley and Mark Webber will start on pole for the 6 Hours of Shanghai. Porsche has again locked out the front row, with FIA World Endurance Championship leaders Mark Webber and Brendon Hartley taking a crucial pole for Sunday’s Six Hours of Shanghai. The pairing in the No. 17 Porsche 919 Hybrid combined for a best two-lap average of 1:42.719, outpacing teammates Marc Lieb and Romain Dumas by a considerable 0.769 seconds. It marked Webber, Hartley and co-driver Timo Bernhard’s fourth pole of the year, with the trio scoring an additional point in the title race to extend their championship lead to two points over the drivers of the No. 7 Audi R18 e-tron quattro. Romain Dumas and Marc Lieb qualified the No. 18 Porsche, fresh from an engine change following FP3, in second, ahead of the No. 8 Audi of Lucas Di Grassi and Loic Duval, who put in a 1:44.200 average. Championship contenders Marcel Fassler and Benoit Treluyer were a distant fourth, nearly two seconds behind the pole-sitting Porsche. The pair of Toyota TS040 Hybrids will roll off the grid in fifth and sixth, respectively, ahead of the LMP1 Privateer pole-sitting No. 13 Rebellion R-One AER of Dominik Kraihamer and Alexandre Imperatori. G-Drive Racing scored its third consecutive pole in LMP2, rebounding from an accident for their No. 26 Ligier JS P2 Nissan in FP3. Sam Bird and Julien Canal put the car on top of the time sheets with a 1:52.763 average, outpacing championship rival KCMG by 0.582 seconds. The pole for Bird, Canal and co-driver Roman Rusinov puts them with a 13-point lead over KCMG’s Richard Bradley and Matt Howson heading into tomorrow’s penultimate race of the season. 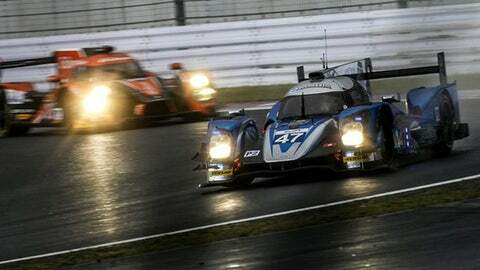 G-Drive’s sister Ligier, qualified by Pipo Derani and Ricardo Gonzalez were third, with the Morand Racing Morgan Judd and Signatech Alpine A450b Nissan completing the top five in class. AF Corse locked out the front row in GTE-Proi, as Toni Vilander and Gianmaria Bruni put the No. 51 Ferrari 458 Italia on pole. Vilander and Bruni combined for a best two-lap average of 2:02.243, outpacing teammates James Calado and Davide Rigon, currently second in the standings, by 0.265 seconds. Following the Nürburgring and Fuji rounds, Shanghai marks the third time this season AF Corse delivered a 1-2 in qualifying. Fernando Rees was briefly able to split both Ferraris in the No. 99 Aston Martin Vantage V8 he qualified together with Alex MacDowall, but was eventually relegated back to third by only 0.032s. The pair of Porsche Team Manthey Porsche 911 RSRs ended up in fourth and fifth, with championship leader Ricahrd Lietz not being able to do better than fifth (+1.109s) in the No. 91 Porsche. Pedro Lamy and Paul Dalla Lana secured the fastest time in GTE-Am with a last-minute dash, giving the No. 98 Aston Martin its fourth class pole of the season. Lamy and Dalla Lana’s average of 2:03.484 was one tenth quicker than Liam Girffin and Stuart Hall in the sister No. 96 AMR Car, which was second. 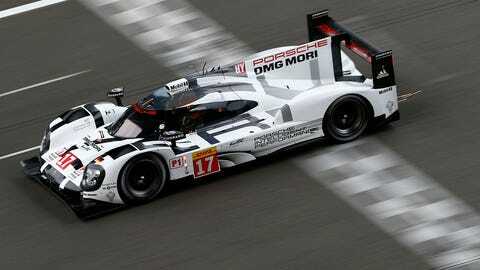 The FIA WEC Six Hours of Fuji gets underway Sunday at 11 a.m. local time (Saturday, 11 p.m. ET, Live on FS2).